The article details how fabulous it is that these three men like three particular things. Man 1 enjoys the Kardashians. He details how many series of the show he bought on DVD and reminisces about the time he got to meet (insert Kardashian) after queuing up for hours and bonding with teen girls because he just really likes the show. I watched some of the Kardashians once. It’s 30 minutes of my life I will never get back. I can’t say I found it enriching. I didn’t learn anything. I wasn’t entertained. I mean, if you love it, fabulous! Maybe I watched a dud episode or maybe it’s just not my thing, but if it’s your thing, far be it for me to stand in the way of you and the Kardashians. So it’s a reality show primarily centred around some women. So what? Crap television isn’t gender specific. My girlfriend revealed, a while back, that she watches a reality show about game fishing. Full of grizzled men and presumably grizzled fish. While I felt confused for a moment, like I was talking to a stranger, my puzzlement passed and I was able to laugh my head off and, you know, continue living my life. She never goes fishing and has never seemed the least bit interested in doing so but hey- she likes to watch and who am I to judge? Should I have instead celebrated her ‘outing’ herself as a fan of something that may be perceived as masculine?? Man 2 has a fondness for Taylor Swift. Taylor Swift is absolutely beautiful and sings highly popular music. What are we celebrating this for? Yup. All blokes. 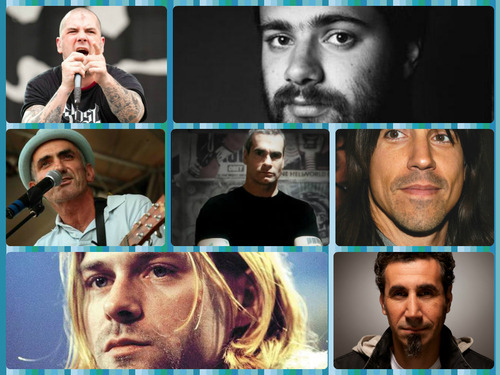 I like some female singers too, but primarily, I like male vocals. Just personal preference. Am I to be celebrated? Man 3 likes baking and waxes lyrically about his butter cream recipe and the tv show that inspired him to start baking. Cake Boss. 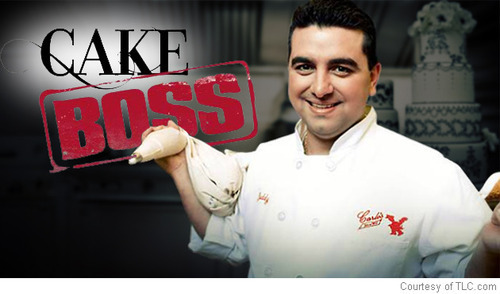 You know Cake Boss? This guy? I cook. I cook all the time. 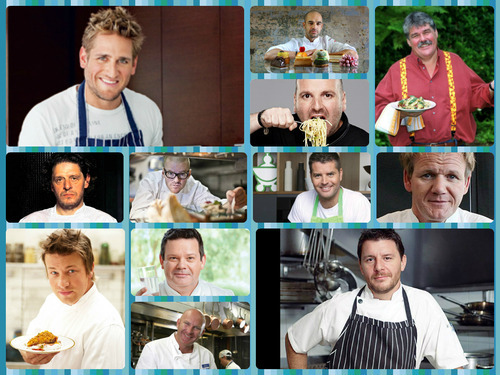 Looking at the above picture and how many well known male cooks and chefs grace our television screens, you’d be forgiven for thinking that actually, cooking is a wee bit blokey. As a woman who cooks a lot, where is the news article celebrating my cooking?! I think it’s great that these days, men are able to choose hobbies and careers that some people once found to be an exclusively feminine thing. I also think it’s great that women can enjoy the stereotypical masculine pursuits if they want to. Articles like this one, though? They’re part of the problem. 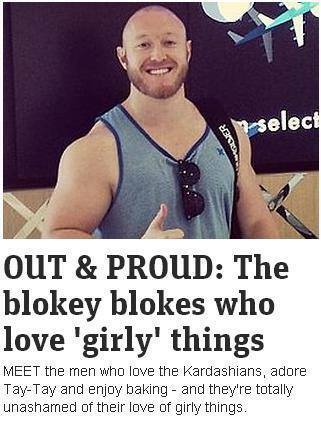 In saying it’s great that these men like ‘girly’ things, they are reiterating that these things are ‘girly’ and reinforcing a gender stereotype. In labeling them ‘Out and Proud’, they have co-opted a term used in the LGBTI community to mean someone is open about their sexuality. Well done, New Ltd. A fluff article that has the potential to irritate everyone! Linking up this post for Laugh Link!